While I was doing research for the latest book in my children’s military aircraft series, This Is The CH-47 Chinook (like that plug? 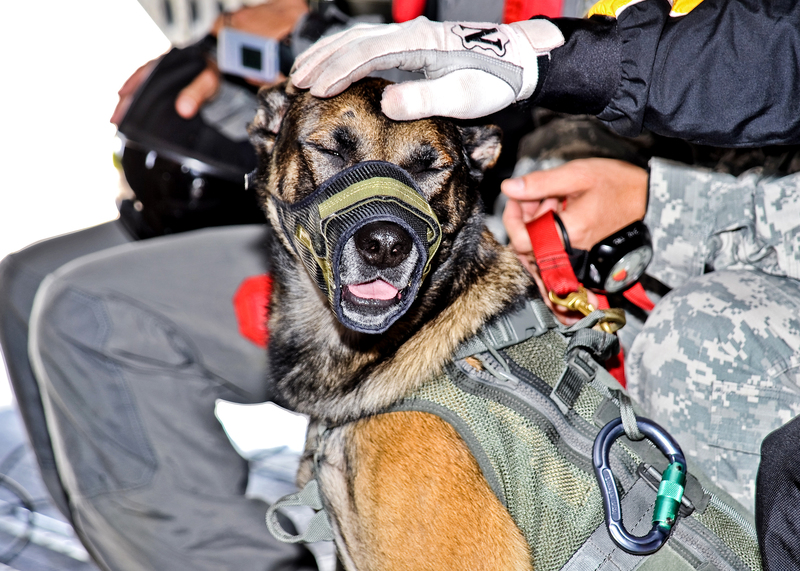 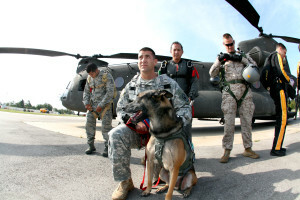 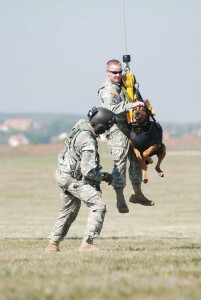 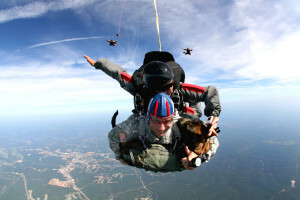 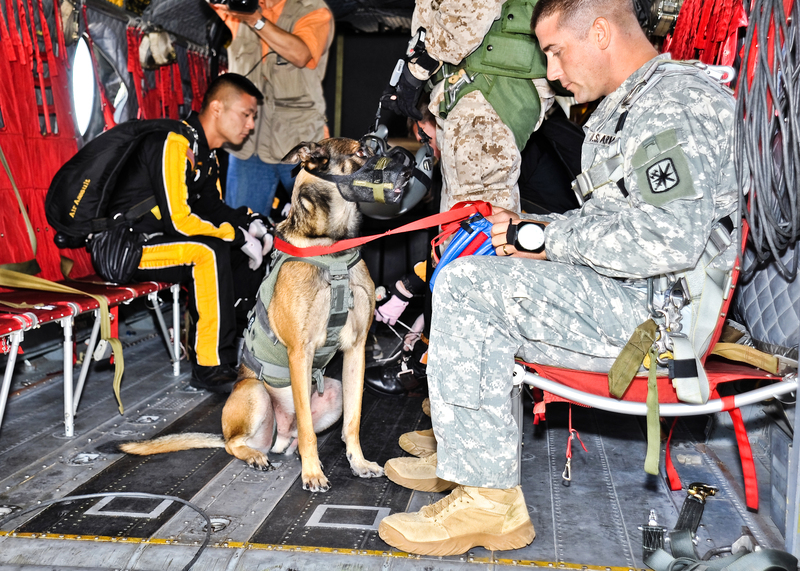 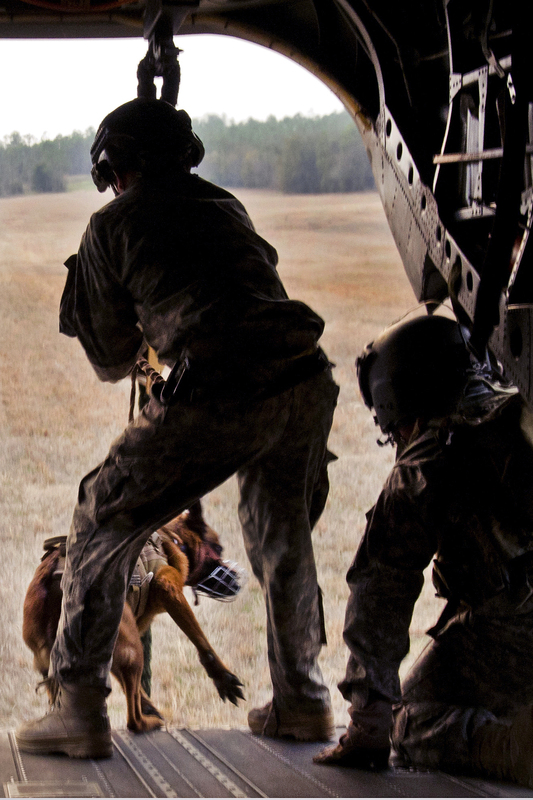 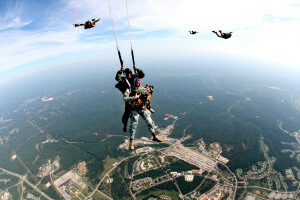 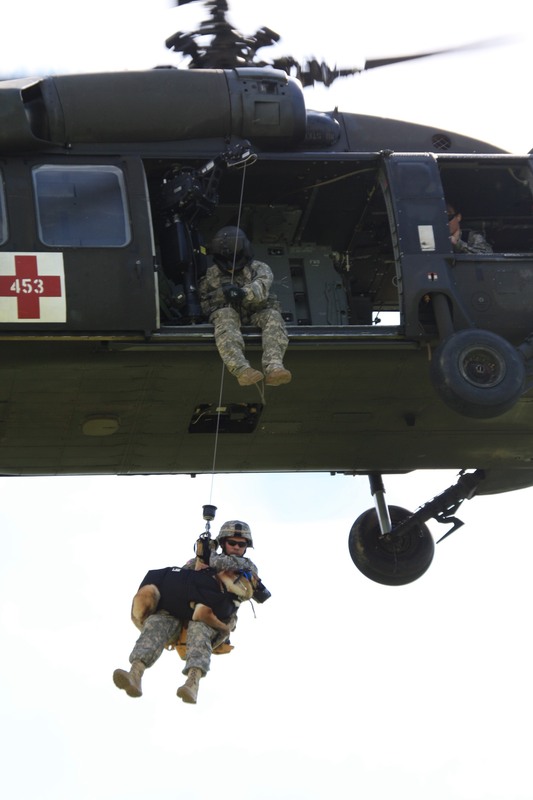 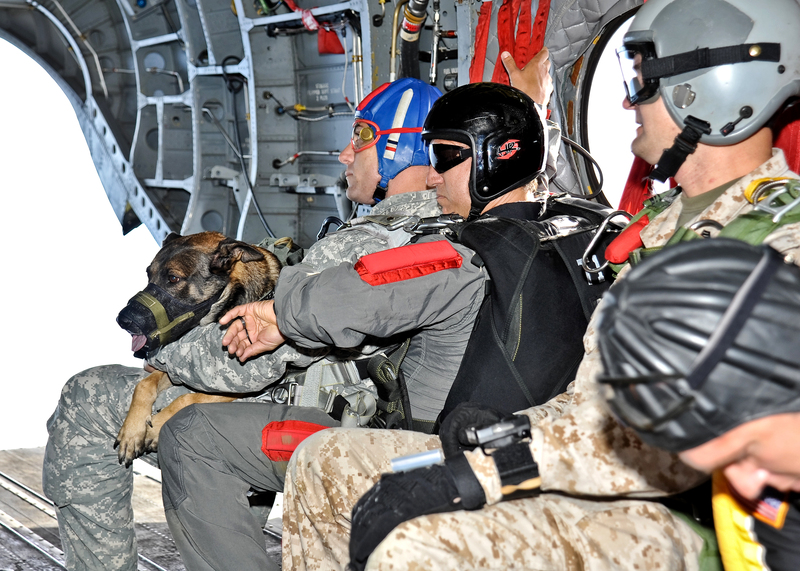 ), I came across some great photos of working dogs jumping out of helicopters with their handlers. Up until then, I hadn’t thought about how some of these working dogs end up in the field with the other military personnel. 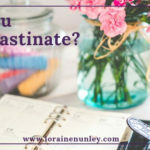 Have you ever thought about it?